The heart yearns to taste pure wilderness. It is almost like a drug addiction. 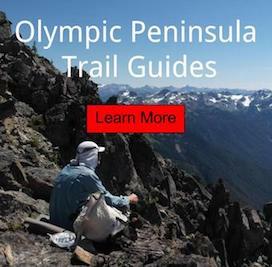 After hiking countless miles of trails on the Olympic Peninsula. Living in the woods magnifies this as well. It jades you being around beautiful landscapes all the time. I almost envy tourist sometimes, viewing wilderness with virgin eyes. This is one of the benefits of sharing adventures with new people. You can see the world through their eyes. Lets you appreciate things more. However, the times we live and landscapes are rapidly changing. Most glaciers are melting away and wildfires are burning rampant well through the summer months. Will there be anything left for us to enjoy in 50 years? I sure hope so! Would love to be able to share these resources with my children and grandkids someday. Until then, I watch the snow melt and fires burn right before my eyes, and cough the smoke particles out of my lunges. This is wilderness!